We’ve all heard the refrain: “Attack is the best form of defence.” It is so axiomatic that we almost daren’t question it. And yet in this article that is precisely what I propose to do. In fact, I will go further to demonstrate that the true measure of martial skill lies not in one’s skill in attack - but in one’s mastery of defence. If you can pre-empt an attack with your own, you will obviously be in a much stronger position than if you had to negate/avoid an attack launched before yours. This is so obvious it barely warrants a mention. However, as I have most recently discussed, pre-emption isn’t always possible. In fact, when it comes to most civilians facing an unprovoked attack, it is usually improbable - and perhaps inadvisable for ethical/moral, legal and logical/logistical reasons. As I have previously argued, this observation does not reflect some sort of policy to “wait for an attack” or “let your opponent have the first shot”; rather it is simply recognition of the reality of how attacks are perpetrated against civilians and the typical reaction time and lack of situationally appropriate reflexes of those civilians. The maxim “attack is the best form of defence” is often used as shorthand for a “proactive” mentality that exhorts assertiveness, vigour, confidence and aggression. In any confrontation this sort of mindset is very important. However it is a logical fallacy to conflate such an attitude with an action. What you do and how you do it are two different things. Put another way, just because you are forced to effect a defence (whether in the form of some sort of interception or evasion, or a combination of both) doesn’t mean you have to do so timidly. One can be just as aggressive and vigorous in defence as one is in attack. Ultimately, the assertion that “attack is the best form of defence” is only as true as saying “avoidance is the best form of defence”: if you can manage either, that is fantastic. But I wouldn’t put all my eggs in any such basket. The safest assumption you can make is that “pre-emptive attack” and “avoidance” are both unavailable. What then? In that case, the “best form of defence” is, very simply... defence - ie. 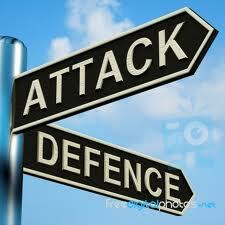 defence in the form of interception and/or evasion of attacks. Put in a more traditional way, you need to know how to receive attacks; ie. respond to them in a way that negates or minimises their harm and sets you up to counter, escape or otherwise establish control of the situation. I’m going to go further and say that such skill in defence isn’t just necessary: it defines the very essence of martial mastery. In other words, the very definition of a martial arts master depends not in his/her skill in attack - but in his/her skill in defence. The soldier has the primary task of defeating the enemy. The cage fighter has the primary task of beating his opponent - either through knockout/submission or through points. In neither case is the combatant’s primary task to “remain safe”. Yet the latter is precisely the civilian defender’s primary “task”. On the battlefield, a soldier is expendable: if he/she dies, another will take his/her place. A soldier’s task is to do what is ordered in the course of defeating the enemy. Military priority doesn’t lie with an individual soldier’s safety; rather it is the victory of the entire “machine” to which the soldier belongs. Soldiers don’t get engaged to “hide” or otherwise avoid conflict. They are expected to go into the fray - even when it is very likely that they will be killed or at least seriously wounded. Combat sports fighters are under enormous pressure to provide “entertainment”: no one really wants to pay good money to watch a fight where two fighters circle each other cautiously with almost no punches, kicks or other attacks being thrown. 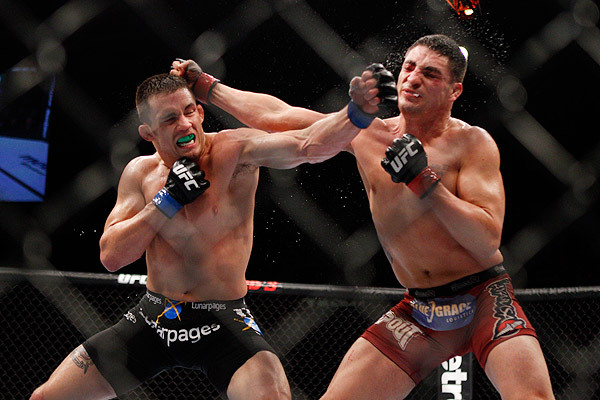 Such conservative tactics remain rare in combat sports. And it is easy to understand why. In the end, fighters get paid to fight - not “avoid” fighting. They get paid to “take the fight to their opponent” - to take risks. To this extent, combat sports fighters are “expendable”: ensuring their own safety isn’t their primary task/goal. The second thing I will observe is that both on the battlefield and in the cage, defensive tactics manifestly do work. Sure, Hitler showed how his Blitzkrieg method was initially effective against his opponents in Poland etc. But this was analogous to an overwhelming pre-emptive strike. He wasn’t exactly able to continue with his Blitzkrieg methodology once the Allied forces started fighting back. Indeed, historians will observe that many of his “attack as defence” tactics (eg. the “Battle of the Bulge”) helped foreshorten the war (thankfully!). Had Hitler adopted more cautious, defensive tactics, the war might have dragged on much, much longer. 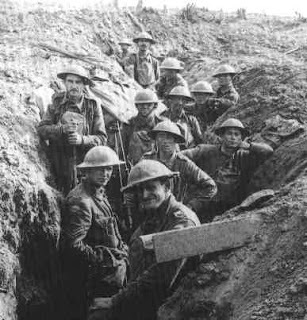 Indeed, to understand the “power of defence” one need only look at World War I and note how both sides realised the utility of adopting the highly defensive tactic of trench warfare. Both sides wouldn’t have adopted it were it not effective. More relevantly, if you look at any of the most famous, decorated war veterans (whether it be on the battlefield, on the seas, or in the air) the most distinctive feature is not that they took risks. It is that they survived. 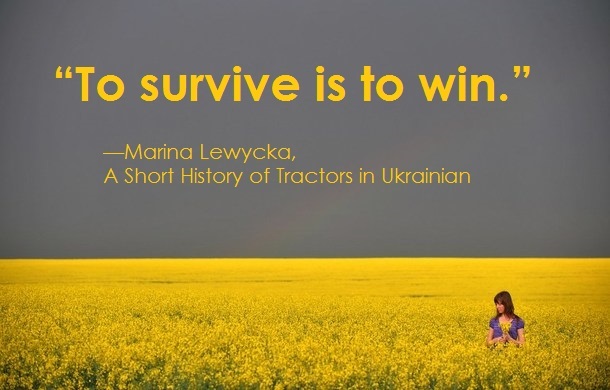 As author Marina Lewycka famously noted, in the end the true measure of victory lies not in acts of valour but in the mere fact of survival. Take a good look at fighter pilot aces from both World Wars and you’ll see the same theme: survival. Yes, they racked up the most “kills”: but that is because they weren’t getting killed. The longer they survived, the better they got at surviving (as well as killing others). In the end, I believe it wasn’t their offensive skill that made them “aces” - it was their skill in not being shot down. 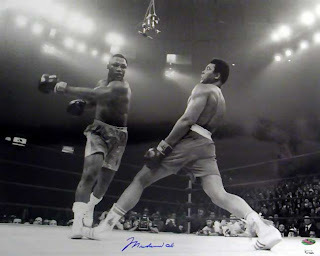 As a younger man I was an avid fan of boxing. I followed all the fighters, I knew all their stats. One thing I noticed is that you could generally always fit boxers into two categories: brawlers and tacticians. The former were aggressive, powerful fighters who “steamrolled” their opponents. The latter were cautious and technical, relying on skill rather than brute force. Guess who “prevailed” in the long run? It is easy to say that the skilled fighters prevailed because they had “better attacking ability”. Fighters like Mike Tyson have often been pressed into this mould. But I can’t help but notice however that this sort of classification is misconceived. To me, Tyson was effective at his peak precisely because of his defensive skill - not because he was “the most powerful” or “most aggressive”. Yes, he was powerful and aggressive. But so were many other fighters. What distinguished Tyson was that he was also an excellent defender. Being an excellent “striker” (eg. of inanimate objects) only gets you so far. It might well be a prerequisite to being a top combat sports fighter - but it isn’t sufficient. To be effective, you need to be able to land your strikes despite the fact that your opponent is doing his/her best to strike you. If you look at any true master of a fighting system - sport combat or otherwise - I believe you find the same thing: powerful, fast and aggressive fighters are dime a dozen. Those who are also good defence? Not so much. Consider for a moment the video above of 10th dan judo master Kyuzo Mifune. You’ll notice that even though he is older, weaker, slower and less agile than his challengers, he defeats them - with style! Why? Because he has mastered defence. He cannot be thrown. This means he “survives” until an opportunity for his own throw is presented. In the same way - indeed, with an even greater level of importance - defensive skill is the true measure of mastery of civilian defence. Yes, every fighter needs to be able to attack - ie. to be able to hit hard, hit fast and with the requisite aggression / lack of hesitation. However I have noted before that a philosophy of "Attack, attack, attack!" only gets you so far. It gets most people over the hurdle of their own kindness and lack of aggression. This is necessary for anyone wishing to deal effectively with physical violence that cannot be avoided. But it is only the very beginning. I have previously mentioned my disdain for such things as the "target focused" schools/systems for this reason; they are peddling very basic information, packaged as something "profound" and "advanced". It is nothing of the sort. It is akin to World War I generals ordering their troops out of the trenches into another pointless death charge. It is part of the blinkered, misguided belief that all that really distinguishes a "winner" from a "loser" is aggression and courage. Yes, you need aggression and courage. But if you want to master the martial arts, your ability to attack won’t distinguish you. You’ll just be one of many “brawlers”. 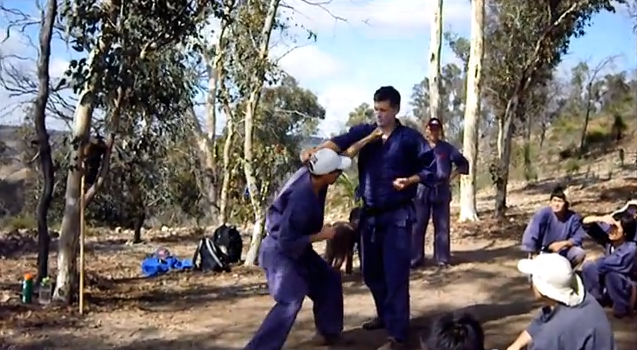 To be a true master you also need to be able defend yourself against attacks. You need to be able to survive the attacks of others. 1. “The Method” was a conservative tactic that worked well for Ambrose Palmer and a few select Australian boxers, like Johnny Famechon, who followed in his footsteps. 2. I think it is precisely the defensive skill of middleweight MMA fighter Anderson Silva that kept him at the top (and undefeated) for so long. He was so good at "not being hit" that he started taking chances - taunting opponents to attack, relying on his superb defensive ability to evade, and take advantage of the openings created by, the attack. As good as Silva is/was, he wasn't good enough in his recent fight with Chris Weidman. I think this shows that "letting your opponent take the first shot" is never a good idea - even if you are so good that you can usually pull it off as a tactical ploy! 3. This is actually a rewrite of an article I had scheduled for publication on this blog. I went in to replace a photograph and make some other minor changes, then tried the “undo” function on one of these changes. My bad: Blogger decided to erase (without trace) my entire article, just because I was happened to be using Internet Explorer (for whatever reason, Blogger and IE stopped cooperating exactly midway through my edit - and haven't "reopened dialogue" since). Let's just say that I wasn't exactly in a "defensive" kind of mood for a while! Oh well - I've rewritten the article now. Yes, it is different, but probably no better or worse than it was before. 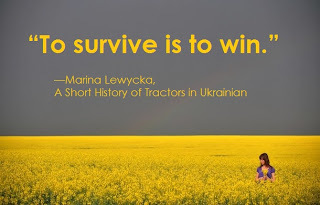 In the end, the article survived (at least, conceptually) which, according to Marina Lewycka's book "A short history of tractors in Ukrainian", means that I've "won". Take that Microsoft and Google!